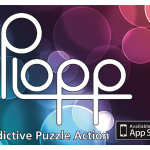 Plopp – Let yourself be mesmerized by Plopp. 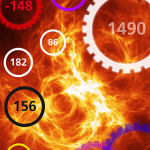 A unique and colorful action puzzle-experience awaits you. 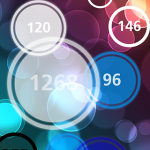 Bubble-like circles, so called ‘Plopps’ emerge all over the place and start growing. When you tap on a Plopp, it explodes and a shockwave is unleashed. If other Plopps are hit by a shockwave they also explode causing big chain-reactions! The bigger the chain-reaction, the more points you get. 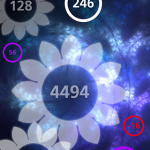 The bigger a Plopp, the more points you get, but if 2 Plopps touch each other, they both vanish. Also, the bigger the chain reaction gets, the more points you get out of each additional Plopp. * Experience a totally unique puzzle-experience. * Unleash big chain reactions. * Get mesmerized by awesome visuals. * Explore four Different Game Modes. 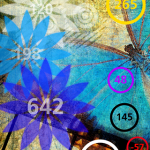 * Challenge your friends in various high-scores. * Face eighty challenging quests. * Accessible ‘One-Touch-Controls’ allow anybody to play. * Listen to three great in-game soundtracks or rock your own iTunes. games2be is an independent Swiss game developer founded in summer 2010.
games2be wants to discover new game concepts and new playgrounds. The focus lies on easy to pick up fun games on various platforms. Don`t hesitate to contact us if you have any questions.